Appleworm™ Orchard is a postage-stamp-sized hobby farm set in the picturesque town of Hollis, in Hillsboro County, New Hampshire, one of New England’s premier apple-growing regions. We have two simple and self-reinforcing goals for our orchard. The first is to make it a robust repository of New England’s once-diverse apple-tree varietals, with a particular emphasis on the pre-Prohibition cider-apple trees that once graced our landscape and lifted our spirits. 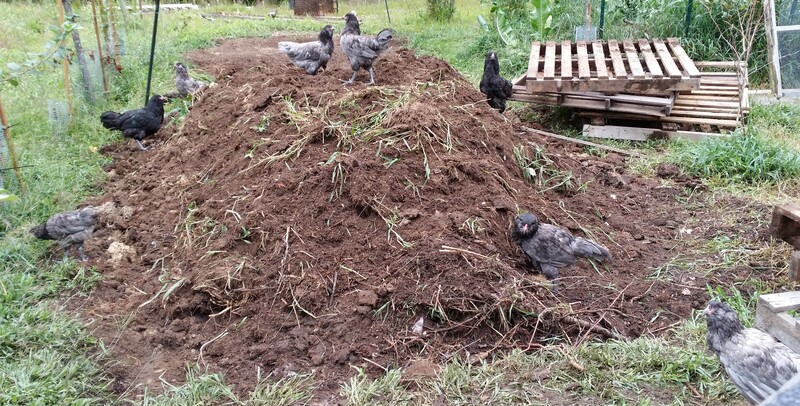 Our second is to breed and raise – on the worms that populate the orchard’s cider-pomace compost piles – several varieties of rare and heritage poultry for diverse purposes. We have layers of beautifully colored eggs, large fowl for eating, spirited gamefowl to guard free-ranging flocks, and bearers of regal plumage to decorate our orchard. Breeds offered in 2016 include the Altsteirer, Black Marsh Daisy, Blue Isbar, Cream Legbar, Orust, Sulmtaler, Swedish Black Hen, and various strains of American gamefowl. For more information about these breeds and other Appleworm™ projects, click on the links in the header above or on the individual poultry breeds listed to the right. All fowl and egg photos on this site are of our own stock, unless otherwise noted.